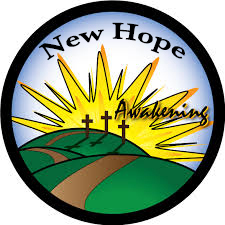 The New Hope Awakening along with New Hope Great Banquet are both affiliated with the National Great Banquet movement. Awakening is the youth version of the Great Banquet, designed for high school students who are seeking an awareness of each one's need to accept Jesus as their Lord and Savior, and then begin to make Him Lord in all areas of life. The image of the Awakening comes from I Samuel 3:1-10. One night as Samuel was lying down in the temple, the Lord calls, "Samuel! Samuel!" Samuel did not yet know the Lord so he did not recognize who was calling him. After the Lord calls Samuel three times, Samuel is instructed by Eli to respond with, "Speak, Lord, for thy servant hears." Please use the links on the right side of the page to find out more about Awakening. What's Awakening & Why Should I Attend? When is Awakening? & Where is it?